Repeat Percussion was an effect originally designed by Thomas Organ for their home organs. It allowed an organist to simulate the rapid strumming of a banjo or a mandolin. The Repeat Percussion effect is related to tremolo. Tremolo is a modulation effect that rhythmically pulses the volume of an audio signal. Repeat Percussion is more extreme modulation effect that creates a pronounced attack followed by a rapid decay of the signal. The rate of the effect was adjustable. Repeat Percussion was included in the Vox V1143 Beatle Deluxe head and was featured in the vocals of "Crimson and Clover" by Tommy James and the Shondells in 1968. 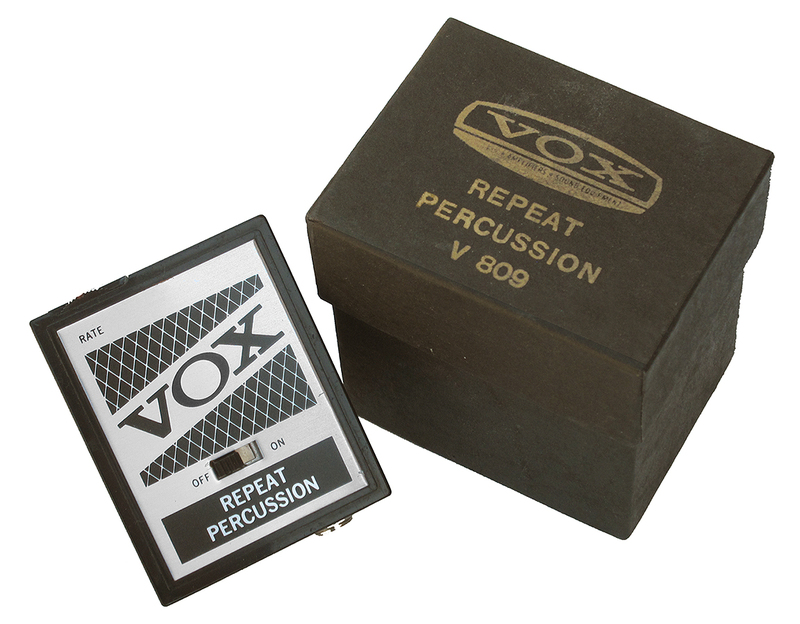 The V809 Repeat Percussion module was produced for Vox by JEN of Pescara Italy. JEN also produced wah and fuzz pedals for Vox. 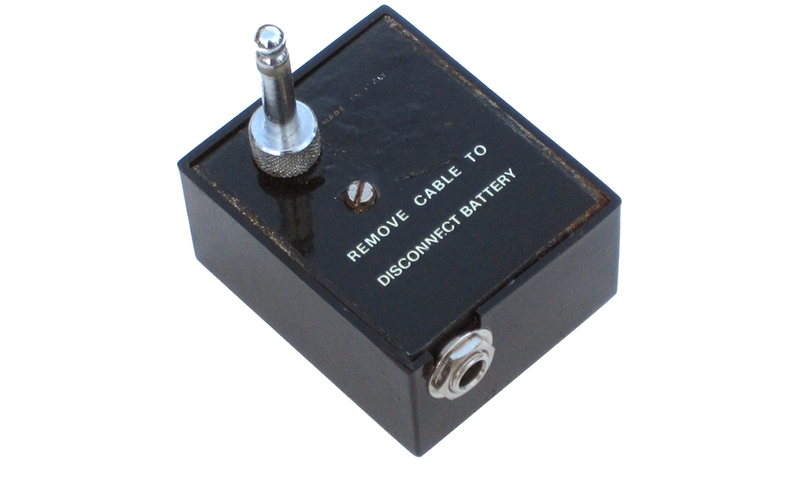 The V809 was designed to plug directly into the input jack of a guitar. A standard guitar cable connected the module to an amplifier. The V809 included an on/off switch and a rotary rate control to adjust the speed of the effect. Thomas offered the V809 Repeat Percussion in their 1970 product catalog for a retail price of $20. It was also offered in the UK by VSL and Dallas from 1969 through 1973.